to mobility, liveability and vitality. Sensibel is a participatory platform that enables citizens to share their travel stories through the simple act of placing a positive or negative point along their journey. Points can be annotated with text, and images. Cycling is our least-understood and potentially most transformational mode of movement in cities. Planning decisions are currently based on research undertaken at a specific time of year, or in review of a new piece of infrastructure. There’s currently no in depth understanding of the human experience of cycling or access to an ever evolving pool of user stories. Capture crowdsourced points of interest that are recorded, photographed and annotated. Analyse cluster and filter time-based geospatial records from a diverse range of users. Share real stories from active citizens participating in positive and effective change. With an initial seed funding from Internet NZ, Fabriko developed a minimum viable product – a two button thumb activated device that sends rider feedback to a mobile phone, then to the cloud. 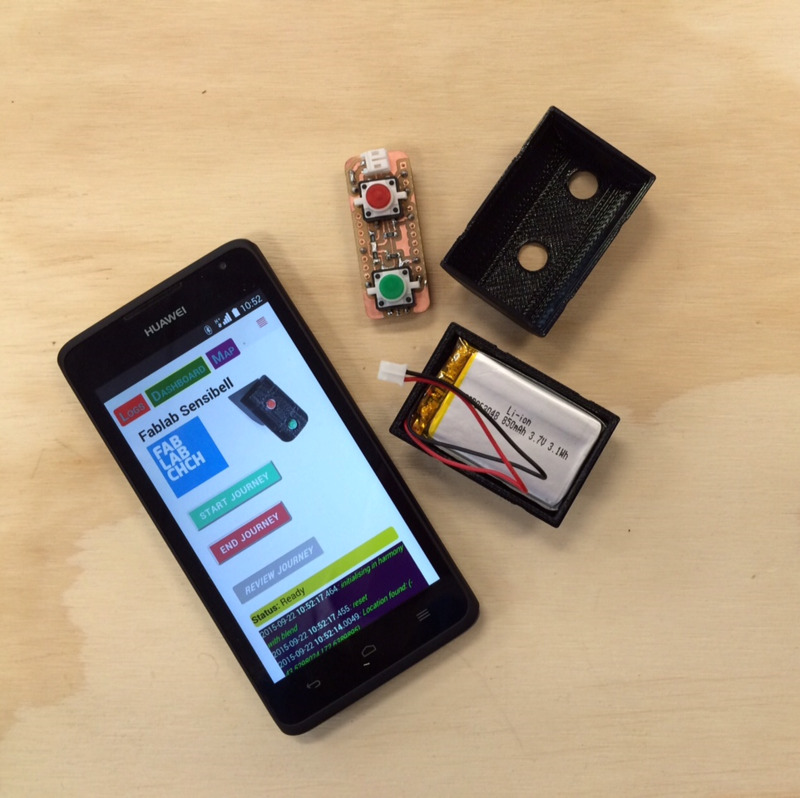 The device and App, rapidly was prototyped at Fab Lab Chch and Fab Lab Wtgn over eight weeks. Test the connectivity of the App and the device. Gather user feedback on the concept of a community aggregated platform for cycling. Collect user-defined definitions for “good” and “bad”. Understand what would motivate and incentivise people to engage with the platform and cycle in general. With the support of the Christchurch City Council Smart City initiative, Sensibel has been developed to a Proof of Concept stage. This milestone has enabled a number of pilot projects with founding partners to be activated. We'd like to thank AECOM, Auckland University, Mackie Research, Halberg Foundation, the Department of Conservation and Be.Accessible for validating the platform and providing feedback. The new platform is currently in closed trials and will be released in late 2018.